The 20th annual Newport Beach Film Festival will present the largest celebration of Irish Cinema in North America during its eight-day run (April 25 - May 2, 2019) in Southern California. Highlights include an Irish Showcase event, red carpet premieres, Breakthrough Artist Award presentation to Moe Dunford, 11 Irish feature length films, 20 Irish short films, along with the participation of a number of Irish filmmakers and talent. 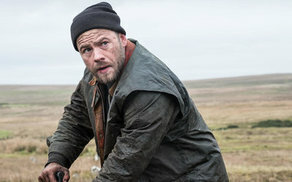 On Saturday, April 27th, the Festival will honour Irish Actor Moe Dunford with the Breakthrough Artist Award at the 2019 Festival Honors reception co-hosted by Variety Magazine at the Balboa Bay Resort. Dunford, who stars in three of the Festival’s Irish films (‘Metal Heart’, ‘Rosie’, ‘The Dig’) and is best known for ‘Vikings’, ‘Patrick’s Day’ and ‘Michael Inside’ (a 2018 NBFF official selection), has emerged as one of Ireland’s most talented and versatile actors with a robust slate of films in the works, on the festival circuit and in theatrical release. On Sunday, April 28th, 2019, the Festival will present its Irish Showcase, an evening celebration of Celtic cinema and culture. The event will feature the premiere of the three highly anticipated Irish films, ‘Metal Heart’, ‘The Belly of the Whale’ and ‘Rosie’ followed by a festive post-screening reception. Other Irish feature length narrative films screening at the Newport Beach Film Festival include the international premiere of acclaimed Irish director Alexandra McGuinness’ film, ‘She’s Missing’ as well as John Butler’s, ‘Papi Chulo’ and Carmel Winters’ ‘Float Like A Butterfly’ (US Premiere). The Irish animated feature ‘Captain Morten and the Spider Queen’ (US Premiere) will screen in the Festival’s Family Film Series. The Irish short film ‘Breastfriends’ will screen as part of the Festival’s Growing Up Shortly program. Irish feature length documentary films in the line-up include ‘Loopers: The Caddie's Long Walk’ and ‘The Man Who Wanted to Fly’ (US Premiere). Two Irish feature length documentaries ‘An Engineer Imagines’ (US Premiere), ‘Citizen Lane’ (US Premiere) and the short Irish documentary ‘Bordalo II: A Life of Waste’ will screen as part of the Festival’s Art, Architecture + Design Film Series. Click here for more information about the 2019 Newport Beach Film Festival.